Are you ready to learn how to code? For a limited time, Gizmodo readers can “pay what you want” for lifetime access to 90+ hours of hands-on training in HTML, Python, Ruby, Linux, and more, valued at over $1,500. Pay any amount for two courses, or beat the average price (currently under $20) to get the entire bundle. This comprehensive bundle covers all the most essential coding languages and frameworks, and will get you fully up to speed on the latest techniques and best practices. 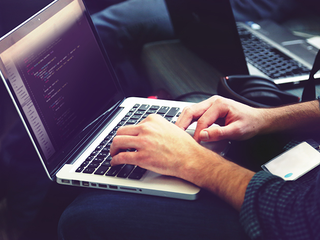 After completing this bundle, you’ll have a firm grasp on full stack development, which you can use to start your own projects or land a better paying job. Even if you’re only remotely interested in coding, you shouldn’t miss out on lifetime access to these incredible training resources.